Get to business insights and results much faster with the acceleration of model building, deployment and re-training. Domino Data Lab and DataRobot enable data scientists and business analysts to accelerate the development and delivery of models. Users are empowered and enabled with key capabilities of rapid model development, automated machine learning, seamless collaboration, fast iteration, and one-click model deployment. This greatly increases productivity, removes bottlenecks in the data science lifecycle, and promotes continued collaboration on future projects. Domino provides an open, unified data science platform to build, validate, deliver, and monitor models at scale. This accelerates research, sparks collaboration, increases iteration speed, and removes deployment friction to deliver impactful models. DataRobot helps users who understand their data and their business to quickly develop dozens of machine learning models, along with the interpretability to fully understand why these models work as they do, so they can choose the best model for their data challenge. With Domino, data science teams have a modeling environment to collaboratively develop models and share their knowledge. In addition, data science teams reduce keyperson and operational risk by automatically preserving all key project information and artifacts. Projects can be easily reproduced for data scientists to build on each others’ work. 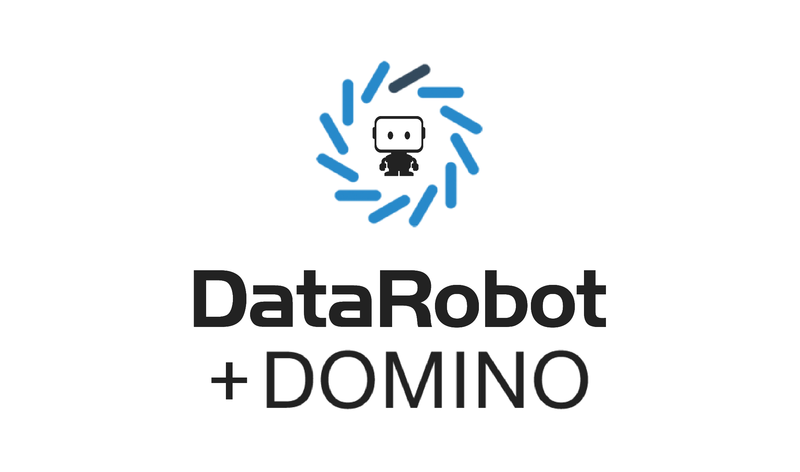 Domino and DataRobot allow users to easily deploy models in production. Using Domino, you can publish DataRobot models as enterprise grade APIs, shiny and Flask apps, interactive web pages, and scheduled reports. Alternatively, you can publish models through a robust REST API on DataRobot, which serves as a prediction engine that allows for quick model deployment. DataRobot also offers a number of other options for model deployment, including Scoring Code Export and ad hoc predictions. Domino and DataRobot both offer enterprise-grade scalability, providing options for model (re-)training, development and deployment on Amazon Web Services, on virtual private networks, or on premise. Domino and DataRobot also incorporate enterprise identity and access management for organizations, e.g. LDAP and Kerberos.